When it comes to Vegan chicken I haven't had much luck. I do like Gardein's Seven Grain Crispy Tenders A LOT but that's about it. My girlfriend has an affinity for a brand called Cluckphrey from Food For Life. Up till recently I wouldn't go near them. 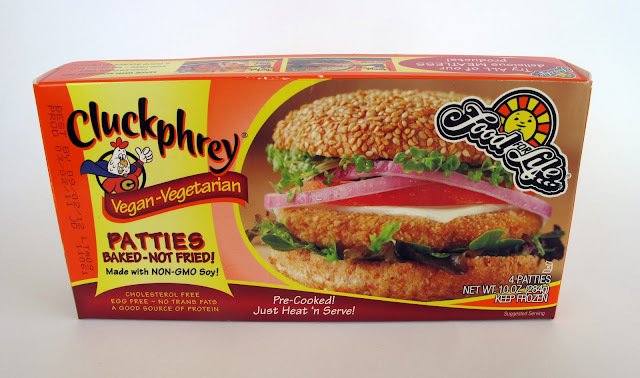 I'm pretty picky about my lazy Vegan food and something called "Cluckphrey" just didn't appeal to me. One fateful night I was home alone and there wasn't much in the fridge. I took a peak in the freezer and scanned my options and saw a box of Cluckphreys. I thought about it for a sec and just decided "what the hell" and cooked one up. I was taught that the secret to a great tasting Cluckphrey is to cook it in a skillet with a tiny amount of oil. Apparently microwaving them makes them soggy oggie. Well guess what? It was pretty damn good! I dressed it up with Vegenaise, tomato and lettuce and had some fries on the side. Easy, lazy and all that. Since I cooked the patty in the skillet it was nice and crispy. 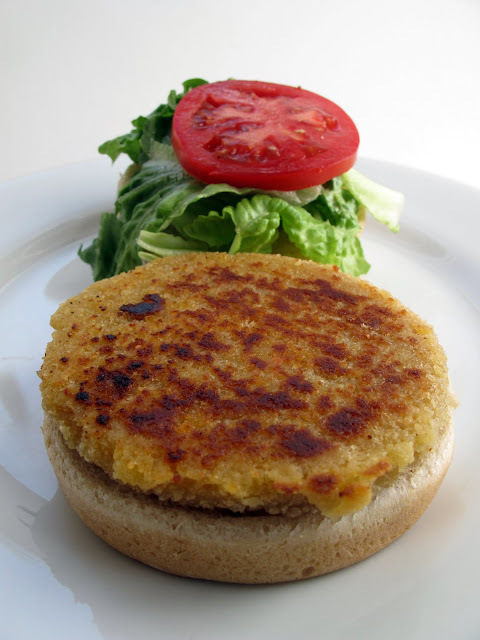 It reminded me of a High School cafeteria chicken patty, in a good way. Very tasty! So if you are looking for a nice chick'n option, take a look at Cluckphrey. So Delicious Free Coupon Giveaway! Sweet & Sara Halloween Marshmallow Giveaway!